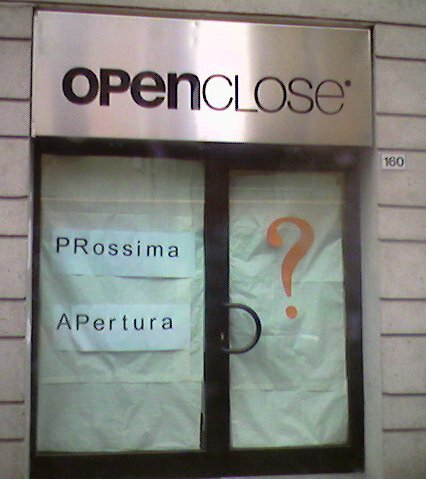 ^ June 14, 2006 – This new shop in Lecco is “opening soon” (prossima = soon or next, apertura = opening [noun]). But maybe it’ll close soon after? ^ English education in Italy clearly never includes proper use of the apostrophe (a common mistake among native speakers as well, I know!). I simply cannot think of a correct English usage that would be spelled Pant’s. Except in India where the name Pant (pronounced Punt) is fairly common, so you could be referring to something belonging to Mr. or Ms. Pant. ^ We were walking past a church where a funeral was being held, the hearse parked outside waiting to go to the cemetery, when this official car from the City of Lecco pulled up. The office of servizi demografici (population services) keeps track of the local population. 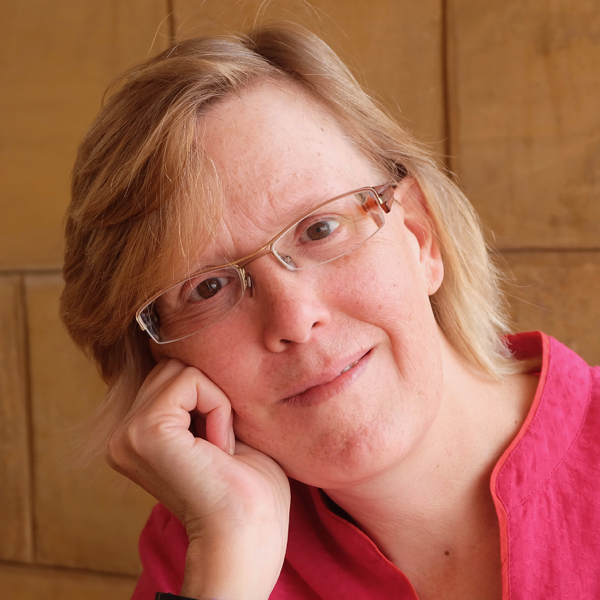 Had they come to make sure the person was actually dead? fare gola = to give an appetite. golosita’ = greed for food. You could say Sono golosa/o di... or Sono ghiotto/a di to say that you love a particulare kind of food, e.g. cioccolato. These were part of a series of punny posters advertising flooring materials. 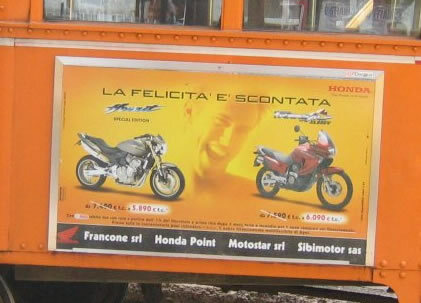 This entry was posted in Italian language and tagged advertising, Italian idiom, Italian language on January 29, 2010 by Deirdre Straughan.